Barry Boss is co-chair of Cozen O’Connor’s Criminal Defense & Internal Investigations practice group, vice chair of the Commercial Litigation Department and office managing partner of the D.C. office. Prior to joining Cozen O’Connor in April 2004, Barry was an assistant federal public defender in Washington, D.C. He focuses his practice on complex criminal matters, particularly involving allegations of white-collar crime in federal court. 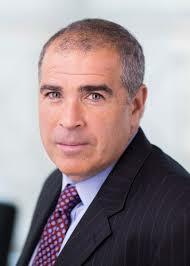 Barry has extensive jury trial and appellate experience, and has successfully defended individuals and corporations under scrutiny for a wide range of criminal activity throughout the country, including: price-fixing, money laundering, fraud, environmental offenses, gambling, bribery, corruption and racketeering. Barry has significant experience in sentencing, and currently serves as a co-chair of the American Bar Association's Criminal Justice Section Sentencing Committee. Previously, he was a co-chair of the U.S. Sentencing Commission's Practitioners Advisory Group and served as a member of the ABA’s Task Force on The Reform of Federal Sentencing for Economic Crimes. Barry frequently writes and speaks about sentencing issues, and serves as a sentencing expert for national media organizations. The Washington Post referred to Barry as an "expert" on federal sentencing law. Additionally, one of Florida's top news programs noted in a report that Barry is "considered one of the top white-collar crime attorneys in the country." In addition, Barry co-authors Federal Criminal Practice, an 800 page treatise for criminal defense attorneys. Among other honors, Barry is listed as one of the "Top 10" attorneys in Washington, D.C. by Super Lawyers magazine and ranked by Chambers USA. Barry earned his Bachelor of Arts from Bates College in 1982. He earned his law degree, with high honors, in 1985, from George Washington University, where he was a member of Order of the Coif.